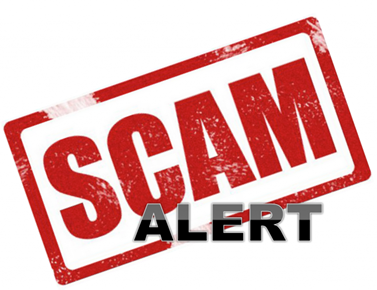 Please forward any Gift Card scam emails to phishing@middlebury.edu so that the sender addresses can be blocked! Also see the How To Report Scams info below the FTC article. Gift cards are for gifts, not for payments. If someone calls with urgent news or a convincing story and then pressures you to pay them by buying a gift card, like an iTunes or Google Play card, and then giving them the codes on the back of the card – stop. It’s a scam. Gift cards are the number one payment method that imposters demand. They might pose as IRS officials and say you’re in trouble for not paying taxes; or a family member with an emergency; or a public utility company threatening to shut off your water; or even a servicemember selling something before deployment. Or they might call with great news – you’ve won a contest or a prize! But to get it, you need to pay fees with a gift card. Scammers will say anything to get your money. And they know how to play into your fears, hopes, or sympathies. They like gift cards because, once they’ve got the code on the back, the money is gone and almost impossible to trace. But knowing how these scams work can help you avoid them, and you can help even more by passing on the information to people you know. Report gift card scams online here. Learn about Google Play gift card scams here. Call 1 (800) 275-2273 then press “6” for other, then say “operator” to be connected to a live representative. Learn about iTunes gift card scams and how to report them here. If you have a Steam account, you can report gift card scams online here. Learn about Steam gift card scams here. Report a MoneyPak card scam online here. This entry was posted in Helpdesk Alerts, ITS, libitsblog, LIS Staff Interest, lisblog, Middlebury Community Interest on November 26, 2018 by Chris Norris.